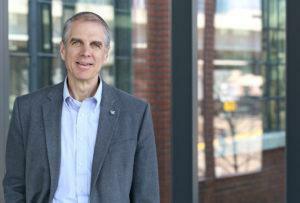 Patrick Thibaudeau, CCS, LEED Fellow, ILFI, Vice President, sustainable design at HGA, has been named an honoree of the prestigious Environmental Leader 75 for his contributions to sustainable design and research. The annual Environmental Leader 75 is a list of the top 75 executives in environmental and sustainability management who are “driving their companies, and the industry itself, forward and are making a difference,” as selected by the Editorial and Management team at Business Sector Media. Thibaudeau has more than 25 years of experience designing high-performance buildings for institutional, healthcare, higher education, and corporate clients. He is an expert on sustainable design and advances new ideas by re-framing processes to achieve new insights. He pursues high aspirations with a new approach called “start at zero.” He recently completed a net zero energy laboratory building at Los Angeles Harbor College. His work has led to many firsts, including Wolf Ridge Environmental Learning Center in progress in Northern Minnesota, the first Living Building Challenge (LBC) adaptive reuse project east of the Rocky Mountains. He has extensive experience with third-party rating systems, including LEED, LBC, and Minnesota Buildings, Benchmarks & Beyond (MNB3). He is part of a national group of large architecture firms that supports the AIA 2030 Challenge for carbon neutral buildings. Thibaudeau frequently speaks at national conferences, including Greenbuild, and writes for industry journals, including Design Intelligence. 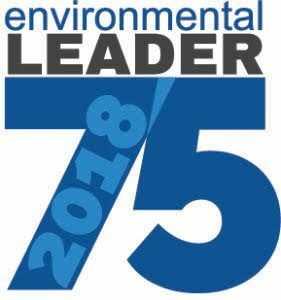 The Environmental Leader 75 honorees were recognized at an event at the Environmental Leader & Energy Manager Conference (ELEMCON) May 17, 2018. For more information, visit Environmental Leader 75.